LA TABACALERA Self-managed Social Centre. This afternoon was specially revealing for me, considering I’ve been in a social centre in Madrid, which most attractive feature to me is that it’s self-managed. It currently occupies a third of a huge abandoned building of around 300.000 sq. ft. There is no reception desk, no information point, there are no plans, no guides. You are on your own, to discover every corner, every work of art waiting to be seen. I cannot assert to which extent it is actually “self-managed”, but I will find out. It could well be the hub for a couple of interesting social-political projects. Below, there are some images. Have a nice working week. 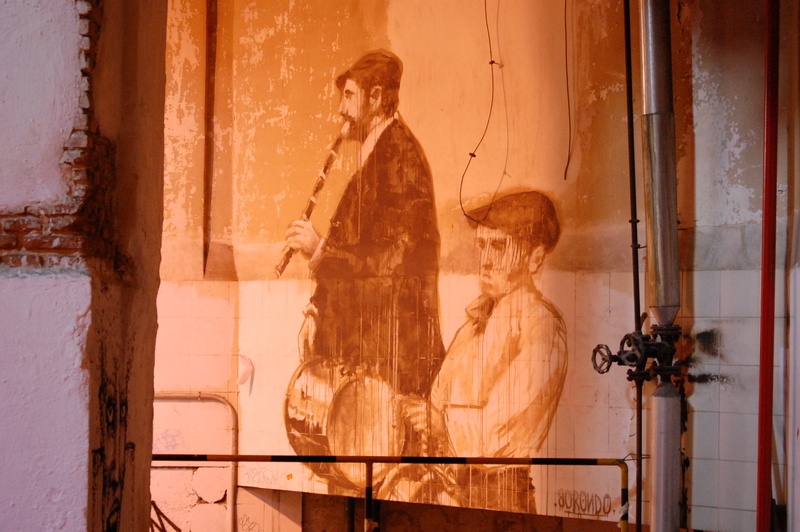 This entry was posted on 13/02/2012 at 00:00 and is filed under Architecture, Art, Culture, self-managed, Society with tags culture, La Tabacalera, Madrid, self-managed, social centre. You can follow any responses to this entry through the RSS 2.0 feed. You can leave a response, or trackback from your own site. Just to say that I’m similing. Gosh, not at all! I was about to put just the smiley, but then I preferred to write it down. It’s like being cute without losing the straightness 🙂 or something. I love this kind of stuff. Seriously. What a grand project Ricardo, thank you for making folk aware of it!